Wight Aviation Museum [WAM] announced today that it is to open a small, new Aviation Heritage Museum and Visitor Centre in the Spring/Summer 2018 at Sandown Airport. It will be dedicated to displaying and telling the story of the Island’s rich engineering aviation heritage and it’s people and events that unfolded on and over the Island over a century ago and which has continued right up to the present day in the aerospace industry. The museum will offer free admission to Island residents and visitors, and welcome their support through donations with or without Gift Aid. Donations of Island aviation artefacts would also be welcome from all sources that are relevant to the collection policy. 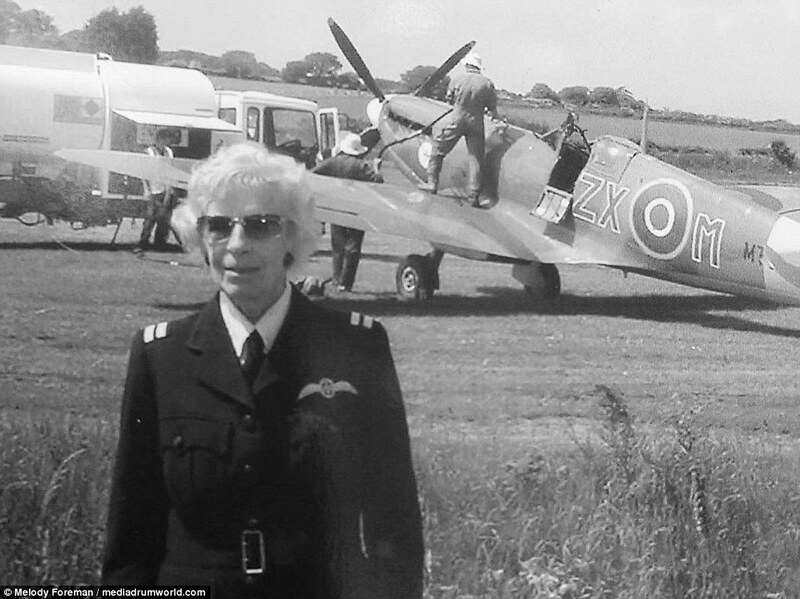 Following today’s announcement that Sandown Airport’s very own Mary Ellis has been conferred with the Freedom of the Isle of Wight, the museum is pleased to confirm that there will be a very special “centre stage” exhibition in the new museum to illustrate her achievements in WW2 and to honour her as the First Lady Airport Commandant in Europe of the Airport 1950-1970. Derby Airways Dakota C-47 G-AOGZ at Isle of Wight Airport, Sandown in 1964. As RAF KN628 during the war this was used by Field Marshal Montgomery. 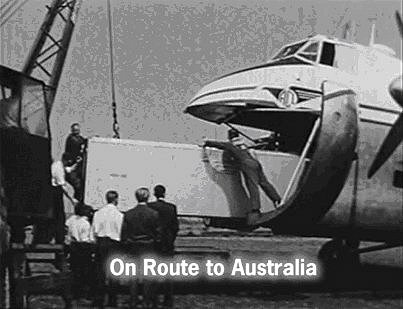 WAM have secured some unique film footage taken in 1964 by a former pilot employed by her that illustrates a well-managed, busy airfield with regular holiday flights from the North. This was a major boost to Island tourism in the boom years. Hawker Siddeley (Avro) Demonstrator 748 G-ARAY at Isle of Wight Airport, Sandown in 1964. Image courtesy of Brian Turpin. He advised that anyone interested should check out a recent BBC news article http://www.bbc.co.uk/news/uk-england-hampshire-42238554 where people can read about the significance of this achievement that put the first UK satellite into space in 1971. 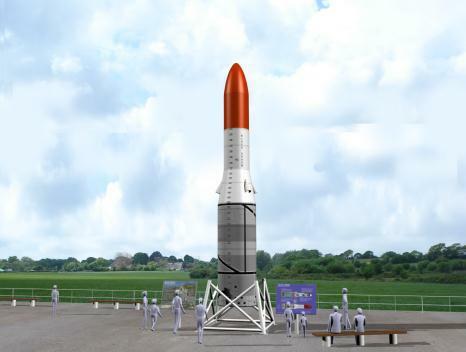 Further announcements on the museum’s planned exhibitions and the exciting plans for an even bigger museum, if funds and investment permits in the future, will follow in due course. John continued: “from February onwards we will need help from volunteers to assist on a variety of tasks and with a range of skills, to build our internal structures and to set up the museum. Full induction and briefings will be given and there is no need to join as a WAM member to participate. Black Arrow at Woomera Rocket Museum. Courtesy of Phil Phillips. 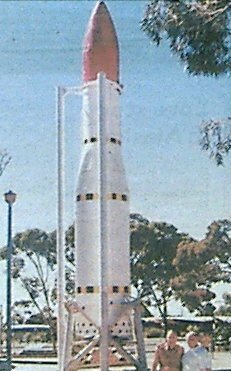 Further to this press announcement from WAM today, here is a photo of the Black Arrow Rocket R5 at Woomera Rocket Museum. Phil Phillips, who as a young teenage boy joined Saunders Roe as an apprentice, is a regular contributor to Solent Aviatrix. He is in this photo standing on the right. His claim to rocket fame is that he worked on the red nose cone. He also worked on the ‘daddy’ of Black Arrow, namely the Black Knight, which preceded ‘Arrow’. Saunders Roe Rocket leaving Bembridge Airport on route to Woomera, Australia. Courtesy of Image Films. To see some historic images of Black Knight under construction and it’s test firing on the Isle of Wight go to the Nancy Crinage page. Her husband Paul Leyton was the genius brain who led the Black Knight team to success. But he wasn’t only a rocket scientist. An inventor and entrepreneur, he turned his hand to many things, including snail farming. Yes, you read that right. From high speed rockets to slow speed molluscs, Paul’s life was anything but conventional.